Hospital parking charges have always been unpopular, but as promises made to scrap hospital parking charges made during the run up to the 2010 election have been sidelined, hospital visitors and outpatients are not very likely to see an end to their parking stress. Parking in NHS hospitals was introduced quite a few years ago, but since 2005, the parking policies of many hospital car parks have become more draconian. It is not unusual for visitors to face fines for parking for too long, or to find that their car has been clamped – a system that is used in many NHS hospitals around the UK. The average cost of parking in an NHS hospital car park is currently around £1.05 per hour. But when patients face delays in busy clinics, through no fault of their own, they can end up spending £5 per visit on car parking charges. Sometimes, when their ticket expires due to appointment waiting times, and they are not able to return to their car because they are having treatment or a consultation, they are clamped. Patient advocate organisations such as Macmillan Cancer Relief have objected to this practice, saying that parking for cancer patients should be free. For some people with cancer, attending regular appointments for chemotherapy or radiotherapy can become a way of life for several weeks. Having a diagnosis of cancer is probably one of the most stressful things that can happen to you, and many people run into financial hardship because of the extended time they need to take off work. Having to continually pay substantial parking fees – which can add up to £30 a week in some cases – is obviously unfair. Plans To Scrap Parking Charges? In the run up to the 2010 election, some politicians promised that the NHS parking charges in England could be reviewed. This gave hope that the parking charges would be scrapped. 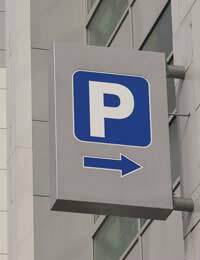 Hospitals in Scotland and Wales, and to some extent Northern Ireland, all offer many of their patients free parking. England is the only country in the UK that either charges patients and visitors to park, or imposes penalties if they fail to pay or overrun their parking time. Predictably perhaps, the new government realised very quickly that scrapping parking charges would take away about £200 million from patient care in the NHS. This is accounted for partly by the lost revenue from parking charges and parking penalties, but also by the money that would need to be spent to manage car parking using a free scheme. In city centres, NHS hospitals would be open to misuse of its car parking facilities by shoppers and other city visitors who were not patients or hospital visitors. While it may not be possible to move to a system in which car parking in hospitals is free, even for regular patients, there are calls for hospitals to stop profiting from car parking penalties. In a recent Which? report, Leeds NHS hospital was criticised for giving out 10,000 parking tickets – the most of any hospital in the country. They made enormous profits from this, and from asking people for a fee to release their car after clamping. Other hospitals also make serious profits, but a hospital in Bath was highlighted as being one of the best for patients and visitors. Although it does charge for parking, people had the option to pay on exit rather than when they first arrived at the hospital. This prevented the situation arising where their ticket might run out while they were waiting for treatment for longer than they expected. They had to pay their parking fee for the time their car was in the car park, but they were never at risk of a parking penalty. The fact that a small number of hospitals are managing to provide a fair parking service obviously means that it is possible, and patient advocate groups are calling for hospitals to be fairer about their parking policies. Hospitals should provide the facilities for people to pay on exit, and for very regular patients to get parking permits or capped parking charges to prevent them being excessively penalised. What is an Intensive Care Unit for?